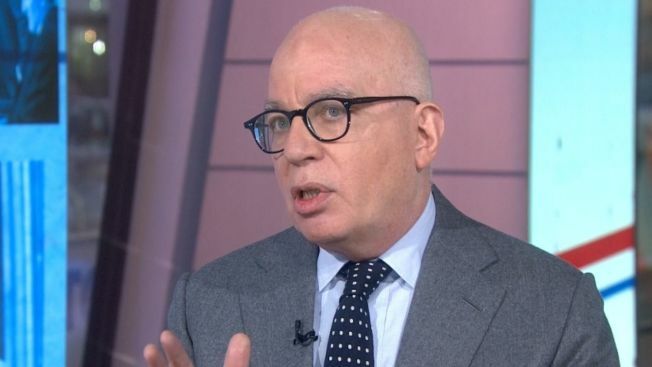 Michael Wolff's "Fire and Fury" is well on its way to becoming one of the fastest selling nonfiction books in recent years. "Fire and Fury" has sold more than 1.7 million copies in the combined formats of hardcover, e-books and audio, publisher Henry Holt & Co. told The Associated Press on Wednesday. Published less than three weeks ago, Wolff's tell-all about the Trump administration remains No. 1 on Amazon.com and other lists. NPD BookScan, which tracks around 85 percent of sales for physical books, told the AP on Wednesday that its numbers for "Fire and Fury" rose for the third straight week. "Fire and Fury" sold more than 300,000 copies last week, according to BookScan, and more than 500,000 copies overall as retailers are finally catching up with demand. NPD BookScan does not register a sale until the book has actually been sent to the customer. John Sargent, CEO of Holt's parent company MacMillan, has said that e-books sales for "Fire and Fury" exceed 250,000 copies and more than 100,000 have been sold in audio. Nonfiction books rarely sell 1 million copies so quickly, with examples over the years including Bill Clinton's "My Life" and Sarah Palin's "Going Rogue," both of which were million sellers after two weeks of publication. The standard for fiction, unlikely to be matched any time soon, is the final Harry Potter book. Released in 2007, "Harry Potter and the Deathly Hallows" sold more than 8 million copies in its first 24 hours. Holt president and publisher Stephen Rubin told the AP recently that he first learned about a possible Trump book when he and Wolff dined late in 2016. It was soon after Trump's surprise election, and Wolff mentioned that he had a "really good chance" to get White House access for the new administration. Rubin, who had released Woolf's 2008 biography of Rupert Murdoch, "The Man Who Owns the News," said he quickly worked out a deal to publish the Trump book. In announcing "Fire and Fury" last November, Holt promised a "white-hot light on a president who made it possible for his family to take over 'the people's house,' even as other members of Trump's inner circle tried to govern while serving their unpredictable and often vituperative boss." Rubin has said he was hoping Trump would tweet about "Fire and Fury," and sales exploded after Trump not only tweeted but also threatened to sue. An initial print run of 150,000 proved not nearly enough, and only over the past week did Amazon have hardcovers immediately on hand. "A 150,000 first printing, in today's world, speaks to being widely confident in what we had," Rubin said. "Did we know it would turn out like this? Of course not. No one would know that. But we knew we had a really good book that was going to make noise."